Do you partake in Meatless Mondays? We try to eat vegetarian meals during the week, and filling salads like this are always a go-to. As the seasons change so do the fillings: tones of fresh vegetables in the summer and roasted root vegetables in the winter. This salad is easy to throw together on a hectic Monday night. 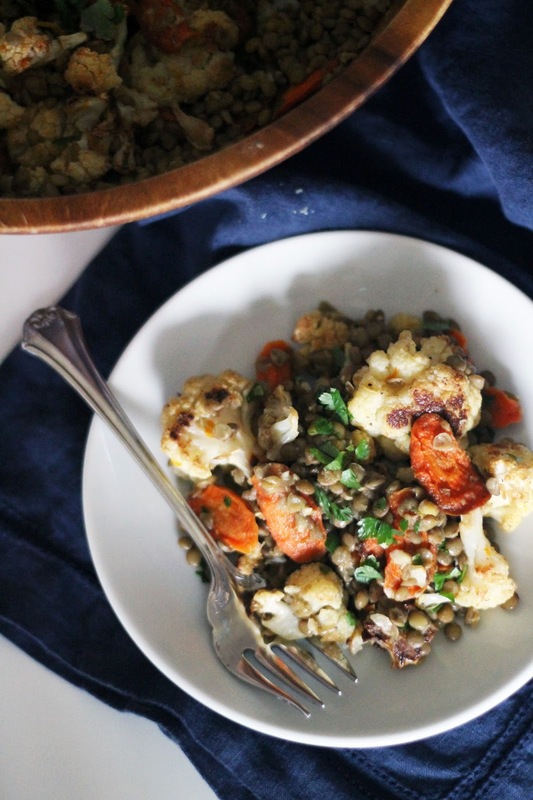 The carrots and cauliflower roast together, and the lentils can be left almost undisturbed on the stove while the cook. Add a citrus vinaigrette for a little punch, and you have a healthy and filling weeknight dinner. Combine lentils, 1 smashed garlic clove, and 2 3/4 cups water in a sauce pan over high heat. Bring to a boil and then reduce to a simmer. Cook for 45 minutes until lentils are soft. 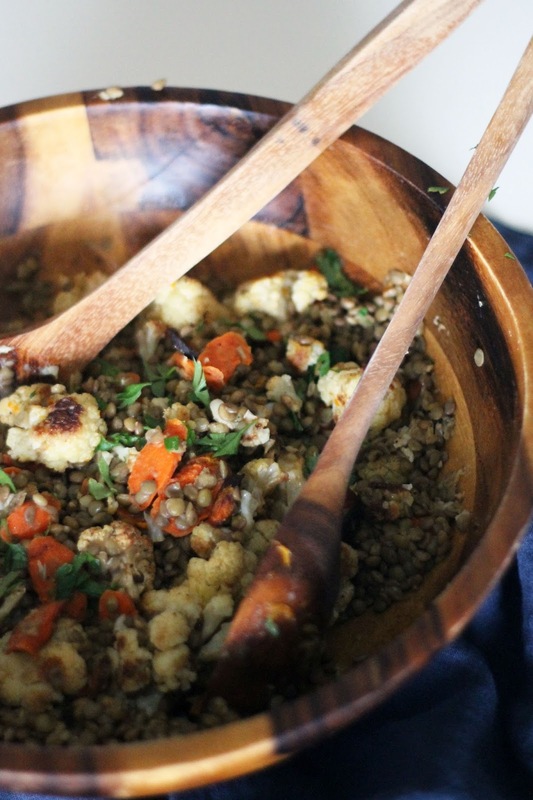 Drain lentils to remove any sludge and place in a bowl. Preheat oven to 400 degrees. Peel carrots and cut into diagonal rounds and place on one side of a baking sheet. 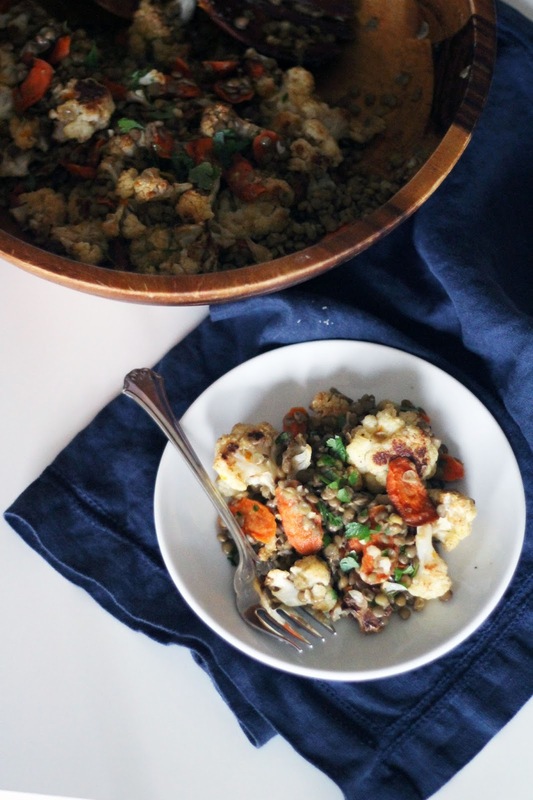 Cut cauliflower into small florets and place on other side of the baking dish. 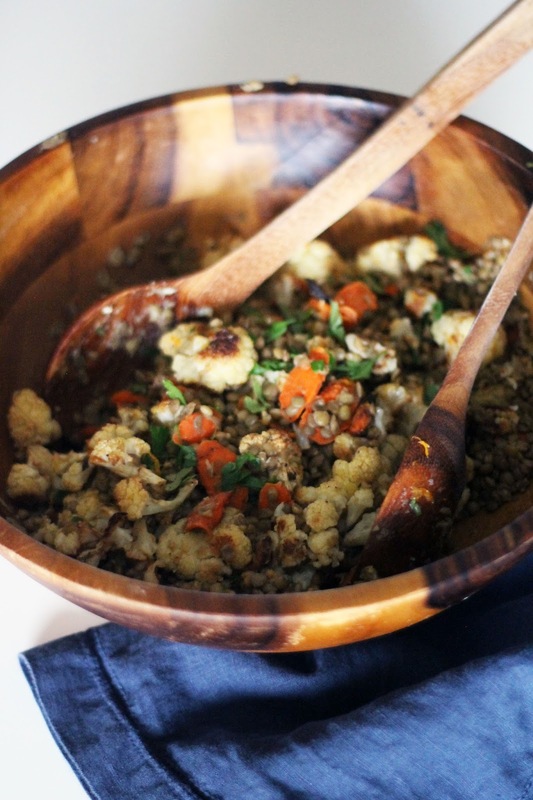 Sprinkle carrots and cauliflower with cumin, salt, pepper, and 3 tablespoons olive oil. Toss to combine. Bake for 20-25 minutes until golden brown and fork tender. Set aside. 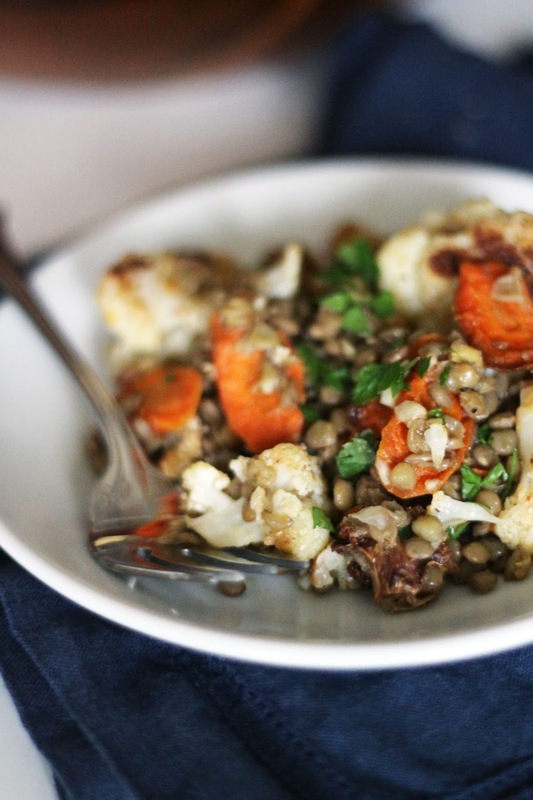 Combine carrots and cauliflower with lentils. Whisk together, 2 tablespoons orange juice, red wine vinegar, 1 minced garlic clove, salt, pepper, and 1/4 cup olive oil. Pour over lentil salad and toss with chopped parsley. Serve warm or at room temperature.